To introduce TCM’s 31 Days of Oscar a documentary directed by Rob Epstein and Jeffrey Friedman was commissioned showcasing the history of the Academy Awards. And the Oscar Goes To… is a serviceable history lesson spotlighting key awards and controversial moments throughout awards history, but its narrow focus often ends up redirecting events to the same key issues of acting and directing. There’s certainly enough information for a whole miniseries devoted to the origins and changes made to the Academy Awards over the decades, but if you’re just looking for a crash course in the awards, particularly with an emphasis on acting and modern filmmaking, And the Oscar Goes To… does the job. The first Academy Awards ceremony was a brief dinner at the Hollywood Roosevelt Hotel where Hollywood insiders gave out awards with no intention of having them become a regular thing. Since that dinner in 1929, the Academy Awards is like Christmas, Halloween, and New Year’s Eve all rolled into one, where audiences wait with bated breath to hear if their favorite movie will be recognized or watch their favorite stars prance around in ridiculously elegant formal wear. Epstein and Friedman’s documentary briefly explores the changes in the Oscar party, from the dinner of 1929 to the giant procession of 2014, along the way touching on the different categories, as well as how everything comes together to bring the awards to your television. Putting on the Academy Awards every year sounds like an insane process, and And the Oscar Goes To… briefly explores the backstage machinations as well as issues which crop up with hosting. Video of stars being interviewed backstage is fascinating to watch as too often they become sound bites after the fact. However, there’s very little investigation into the planning and broadcasting of the ceremony other than touching on the 1950s changeover to television. A wider amount of time is devoted to hosting where past hosts like Billy Crystal and Whoopi Goldberg discuss the tightrope of being funny and improvisational throughout a 2-hour show. I would have enjoyed details on a few poor hosting gigs (although they show the infamous duo of Anne Hathaway and James Franco, I was surprised no one showed the terrible Rob Lowe intro). Surprisingly, almost half of the documentary is devoted to acting awards and various actors discussing working on a movie, generally one awarded its own Oscar. It’s always fun to hear stars like George Clooney or Helen Mirren talk about their craft, but with so much to explore within the Oscars themselves listening to a master class about acting is out of place. Clooney makes sense since he’s a hyphenate with both acting and directing acclaim, but the rest of the documentary seemed focused on acting alone and would stop to return to interviewing actors. Certain categories, like animated feature and technical design, aren’t even given any pundits to speak about them, content to show a few clips of people winning in those categories before moving on. In the case of animated feature, considering how many clips of animated characters and features are shown, it’s sad they don’t even take the time to look at the addition of the category itself, nor does the documentary explore the various category changes that have taken place in music or production design. It sounds like I’m attacking the documentary, and that’s not my intention. This is a classy production, narrated by Anjelica Huston and featuring a cavalcade of fantastic actors and directors; I just wish it had a cleaner focus. There’s a large chunk of time devoted to minority nominations within the acting categories which is wonderful to see, although disheartening to watch Richard Pryor’s hosting monologue, wherein he explains that African-Americans are able to read lines and emote, underscored by a sea of white faces. Academy President, Cheryl Boone Isaacs, explains diversity in the awards may not be happening “as quickly” as people like, which is a troubling statement but understandable. 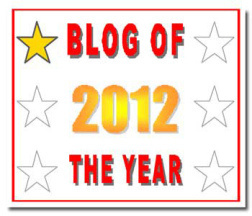 These are the elements we should focus on, the history and changes the awards have made. The documentary soars when it acknowledges how the awards dovetail with current events. 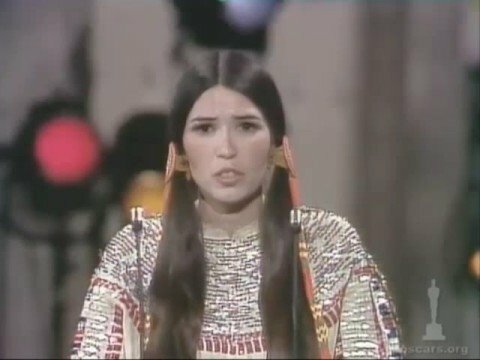 I was surprised that no mention was made of the awards postponement in 1968 when Martin Luther King, Jr. was assassinated, although there are great clips of controversial speeches made by Michael Moore, Jane Fonda, and Marlon Brando’s proxy acceptance speech via Sacheen Littlefeather. I love documentaries showing the issues of a production meant to run like clockwork and how those events are handled. Epstein and Friedman take the time out to present said issues, but move away from them too quickly. You’ll also notice a shocking amount of modern movies spotlighted. 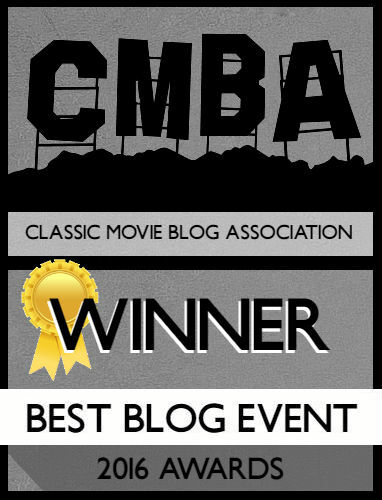 TCM’s received its share of criticism for the implementation of modern movies, and And the Oscar Goes To… is in a similar situation. Yes, the Awards have several decades worth of movies under their belt, but almost every element, including the various montages, have a higher ratio of movies made post 1990 than anything else. And, again, outside of the acting categories, there’s no mention of the 1967/1968 awards where the Best Picture nominees were a mix of old studio filmmaking and young auteurs which shaped the future trajectory of movies. And the Oscar Goes To… is a worthy opening into the massive history of the Academy Awards. Unfortunately, there’s too little left unspoken. At over 90-minutes, it actually is frustrating watching certain moments shied away from, or the repeated focus on acting. In fact, the final thirty minutes is when Best Director and Picture are mentioned, and that’s almost exclusively modern movies. If anything, And the Oscar Goes To… proves we need a miniseries exploring various time periods of Academy Award history. This is a great introduction, but the story is far from complete. I too would have liked more depth in the program. I settled in expecting a much more satisfying meal rather than the snack that was provided. It also highlighted the exact moment I became disenchanted with Oscar telecasts. It was the night they introduced Hal Roach from the audience. The man should have been on stage with a tribute to his work. It typified a lack of respect for the rich history of the movies and I expect much more from the industry.